Alden Logistics Inc., an Evans Distribution Systems company, has announced its successful completion for the application for a C-TPAT (Customs Trade Partnership Against Terrorism) membership. This development will open new doors for Evans Distribution Systems to provide functional supply for its customers. worldwide supply chain security initiative, Evans will be able to ensure a more secure and prompt supply chain for its employees, suppliers and customers. Customs and Border Protection (CBP) also offers exclusive benefits to certified C-TPAT member categories such as reduced border delay times, front of the line processing for inspections when possible, and the assignment of a C-TPAT Supply Chain Security Specialist (SCSS) who will work with the company to validate and enhance security throughout the company’s international supply chain. “This certificate will now open many more doors and opportunities which will help to catapult Evans to the next level as a transportation provider” said Anthony Trocki, General Manager of Transportation at Evans Distribution Systems. 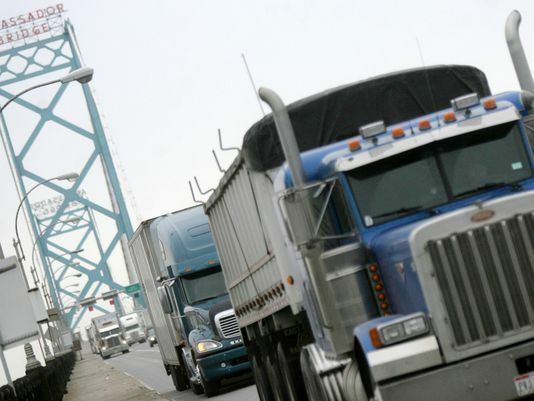 With the C-TPAT membership, Evans is also prepared to acquire a Fast Certification that could save the company hours of idle wait time at the border. This will help reduce fuel costs and increase shipping accuracy, making it easier for the Evans customer. Evans Distribution Systems, headquartered in southeast Michigan, was founded in 1929 as the Central Detroit Warehouse Company. Evans has evolved into a full-service, third-party logistics provider offering warehousing, transportation, contract packaging and staffing to the manufacturing, food and beverage, consumer goods, and chemical industries. Evans currently employs more than 500 associates and operates more than two million square feet of space in Michigan, totaling 30 operations in 10 states. Find more information on our website, easierwithevans.com.